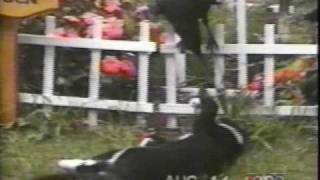 Home » Animal Video Fun » Crow and Kitten are Friends? Crow and Kitten are Friends? This one’s title is, “Unlikely Friends.” An early example of a growing, and most charming genre, Inter-Species Videos, you’ll see that instead of being the mortal enemies we are used to seeing, this crow and kitten are friends. A lesson for humans we should take to heart?